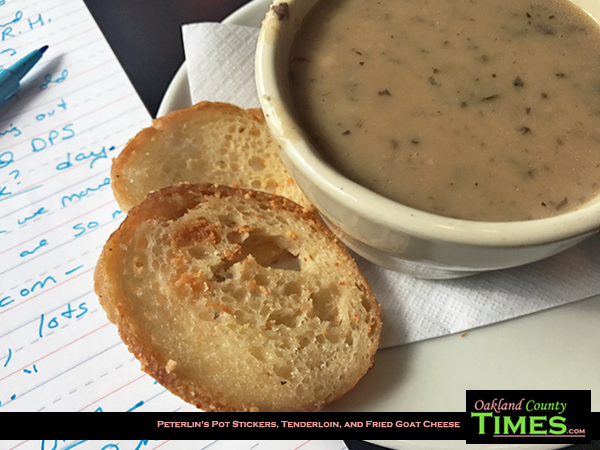 Farmington MI, MI – After a recent conference I went to Peterlin’s in Farmington and was delighted to learn there were special on appetizers. This meant I could try a couple new things while I was there going over my notes, and I could order my entree to take home for later. I started out with a delicious mushroom soup, then spent some time munching on pot stickers and savoring the fried goat cheese. 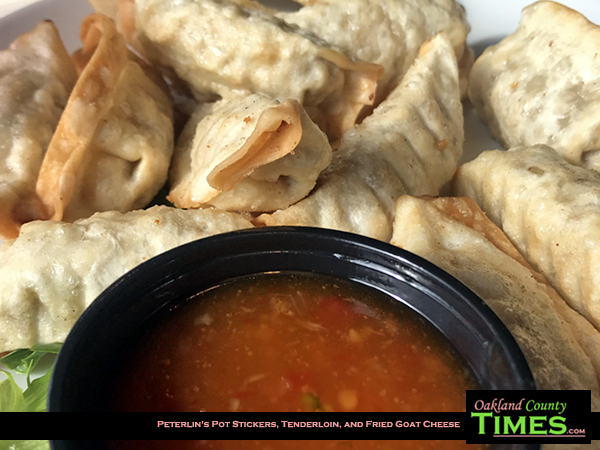 The pot stickers are Asian-style pork dumplings served with sweet chili dressing. The fried goat cheese is one of my favorite things anywhere. 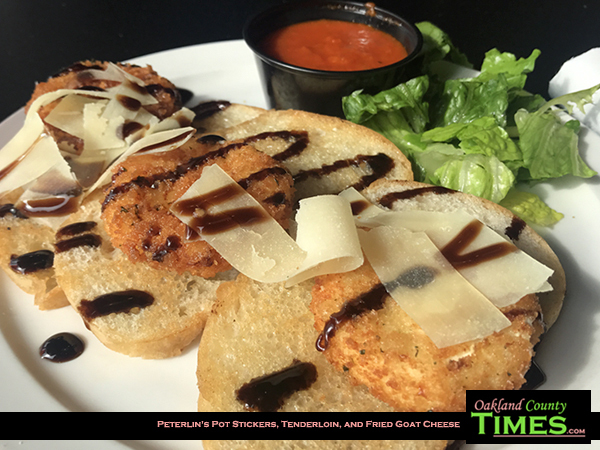 They coat fresh goat cheese with bread crumbs and fry, then serve it on ciabatta bread with a beautiful presentation with marinara, balsamic glaze and shaved Parmesan cheese. 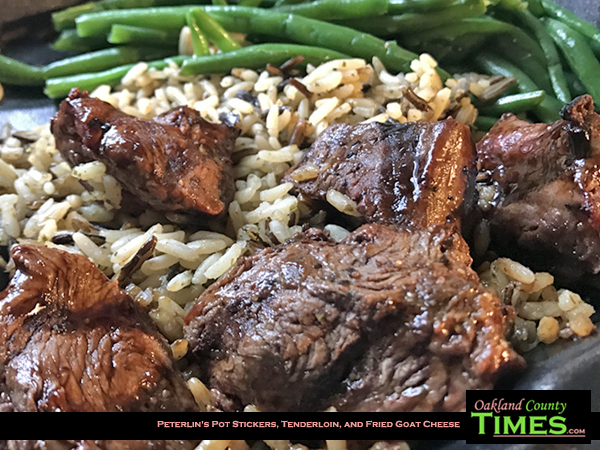 I left with an order of bourbon beef tenderloin medallions served with rice pilaf and green beans. All of it was delicious, and their menu has many other unique choices that I’m looking forward to checking out. Peterlin’s is located at 22004 Farmington Rd, Farmington, MI 48336. Find out more at http://www.peterlins.com/.